If women are better at coding, it's because they have to be. Women confident enough in their abilities to overcome the gender bias may well be, on the whole, more qualified and thus more likely to produce clean code. A recent study that is both heartening and maddening has found that women’s contributions to open-source software are more likely to be accepted than those of men—so long as no one knows they’re women. To get a look at how the work of female programmers is perceived, two North Carolina State University professors and several students turned to the coding site GitHub. GitHub is something of a coding social network, where people can post their own code and where many open-source projects host their code and take contributions. While the students hypothesized that women’s code would be less likely to be approved, the reverse was in fact true. After examining just over 3 million contributions, they found that women were slightly more likely than men to have their code contributions integrated into open-source projects. But this edge disappeared when a profile picture, a username containing a traditionally female moniker, or another cue indicated that the user was a woman. The (not yet peer-reviewed) study found that 78.6 percent of contributions by women were accepted, compared with 74.6 percent of those by men. Many were quick to point to this as proof that women are “better at coding” than men, but the real story of women’s contributions to open-source software is much more complex. With open-source software, the code is publicly available, and members of the public are allowed and encouraged to suggest fixes or improvements, which are then reviewed and accepted or rejected by the maintainers of the project. Software development as a whole is male-dominated, but the world of open-source software is even more so. Data from the Bureau of Labor Statistics from 2015 puts the percentage of computer and mathematical occupations filled by women, a group that includes Web and software development, at 24.7 percent. Of the 3 million code changes reviewed in this study, fewer than 150,000 were by women. A 2013 survey found that only 11 percent of open-source contributors were women. Reports of harassment and misogyny in the open-source community are not uncommon, which likely leads many women to opt out of it entirely. In effort to balance this, lots of initiatives have taken shape to help encourage women in the open source. Many projects have adopted codes of conduct to help deal with harassment and abuse in their communities. For instance, the Outreach Program for Women guides women through becoming contributors to open-source software, perhaps equipping them better to contribute quality code to the open-source community than men without the benefit of such support. Other resources, like Open Source for Women, compile lists of projects that are welcoming to women contributors in a community that sometimes is not. Due to concerns of harassment as well as resources to help avoid it, women may be doing more filtering than men before submitting any code to identify projects that are likely to be accepting of their contributions. Another potential factor in women’s open-source contributions is impostor syndrome, an oft-discussed phenomena whereby people fear being revealed as unworthy and undeserving of their titles and success despite formidable evidence to the contrary. Those contending with impostor syndrome—and women seem to suffer from it more—might be reluctant to put their code out in the open and thus subject it to the public scrutiny inherent in open-source software development. Women confident enough in their abilities to overcome these challenges may well be, on the whole, more qualified and thus more likely to produce clean code. The authors of the study also refer to “survivorship bias,” the idea that given the nature of the software industry and its problems recruiting and retaining women, those who remain tend to be of higher caliber. 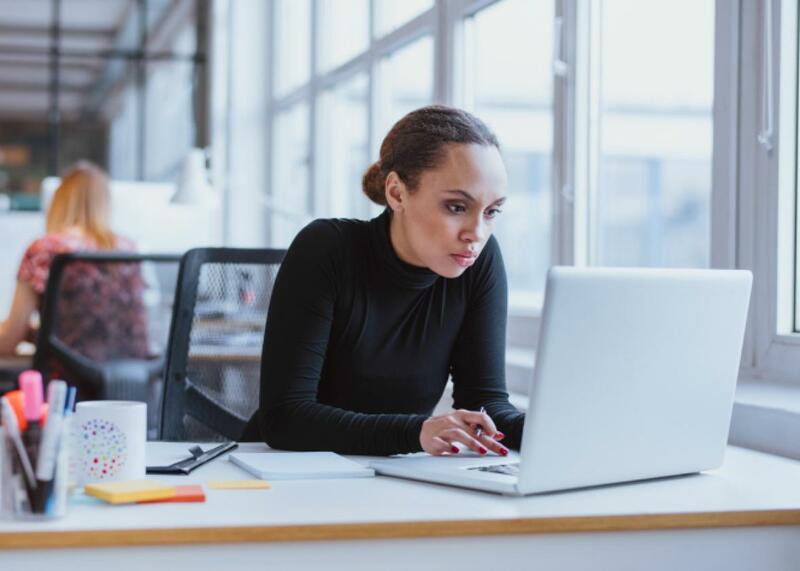 The researchers cited a 2013 survey that found women in open-source are more likely than men to hold master’s or Ph.D. degrees, and workplace studies support the notion that women who perform as well as men tend to be rewarded at a lower rate. On top of all of this, it bears repeating that women’s code contributions were still less likely to be accepted when it was apparent that they were women. So for all that is being done to encourage women, to educate and prepare them to take part in the open-source community, it still seems necessary for them to adopt at least a gender-neutral persona in order for their contributions to be valued as equal to those of their male counterparts. Perhaps there are ways in which to see the results of the study as good news, but it also reminds us of the many hurdles women have to contend with simply to get to the point of making contributions to open software and the biases that may continue to haunt them when they do.